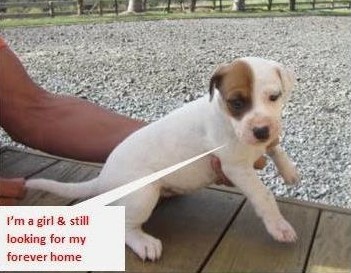 Puppy – still looking for forever home. Following on from our post last weekend, we still have one gorgeous pup, White with brown eye patch, looking for her forever home. Fox Terrier X, 8 weeks old, available immediately. Please contact Trevor or Debbie @ pryce266@gmail.com if you are interested.